Developed by MEDiTAS Ltd, the SleepPro has three available versions – Easifit, Contour, and custom. During this review, we will be discussing the Easifit which is the less expensive alternative to the custom and SFA. The Easifit version is a mandibular advancement device that works like several other MAD’s by holding the lower jaw just beyond the upper. This in effect pulls forward loose fat and muscles, freeing up previously blocked airways. This technique to prevent snoring has been used for several years now but has only recently gained popularity in the United States. 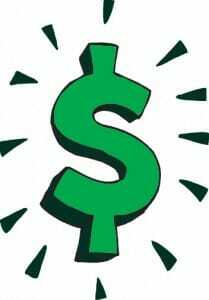 In fact, according to the companies website, 63% of the companies sales currently originate in the US followed by 25% in Australia. The remaining 13% of their sales come from other countries. The company behind SleepPro is based out of Winchester, United Kingdom and has been conducting business since 1992 as a medical supply company, while the SleepPro line has been produced and distributed since 1998. 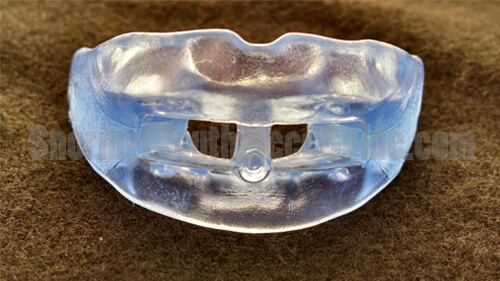 The companies primary focus is to offer affordable oral appliances to help others with their snoring problems. 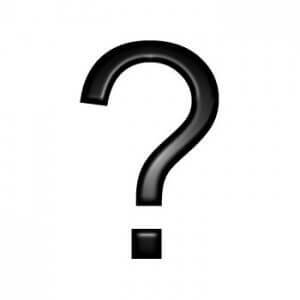 Whats different about the SleepPro? If you have been shopping around, you have likely noticed that there are several similar devices available on the market. Many of these devices are created using a thermoplastic, medical grade silicone, or similar material. When these materials are heated, they become pliable and can be stretched and formed into a different shape. Since the process of reshaping typically involves dropping the device in hot water for a few seconds, inserting into the mouth and biting down, they are often referred to as boil and bite devices. The SleepPro is no different than any other in this aspect. 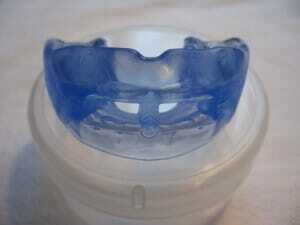 The unique design and breathing hole feature are what differentiates this oral appliance from all others. While some manufacturers design their device with a small breather hole or more commonly, no breather hole at all, the SleepPro clearly understands the need for such a feature and offers two large air holes which make breathing very easy for those who have nasal issues. Let’s face it, quite a few people find breathing through their nose difficult due to blockages from issues such as a deviated septum, inflammation, and swelling, allergies or simply a cold. 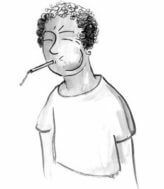 Breathing through the nose while sleeping can be not only challenging but almost impossible for some. As a sinus suffer, I can attest to this and understand that there are several others out there with similar issues who also snore while sleeping. There are a few available mouthpieces that offer one small hole which creates a concentrated stream of air that often dries out the throat. These devices can also severely restrict breathing by forcing a large volume of air through such a small hole. Think about it like trying to breathe through a small straw. The SleepPro has 2 large ports that make breathing through the mouth much easier. This can be compared to breathing through two extra large straws. See how this can be much easier? 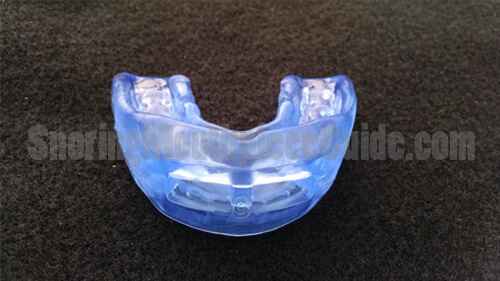 While not the first ever to produce a mold-able mouth guard style MAD, SleepPro has been at it for more than 15 years. The snoring remedies industry has recently seen an explosion in the United States as an estimated 30% – 50% of Americans snore. An increase in demand has caused an overwhelming response and dozens of companies have responded by creating cheap imitations, often produced using questionable materials. The SleepPro has a long history that has stood the test of time, giving it credibility and trust. If ordered directly from their website, the cost is $49.99 + $10.25 shipping. You have the option to include a second device for only $20 more. 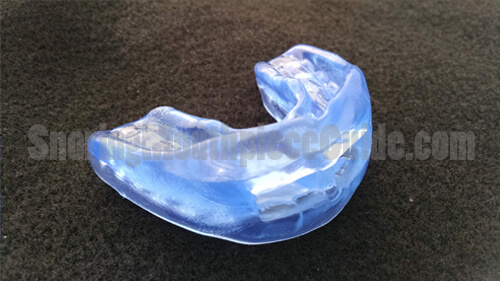 Ordering two will significantly reduce the overall cost and is typically a good decision as these mouth guards will have to be replaced after several months. 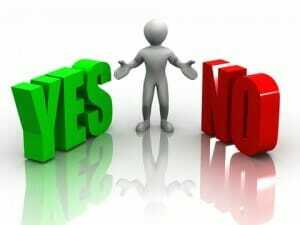 Bring 2 cups of water to a boil on the stove. Pour the water into a mug and allow it to cool for about a minute. Submerge the mouthpiece under the hot water for 2 minutes. Ensure that the air hole retainer is pushed all the way in before dropping into the hot water. Carefully remove the device using a spoon. Grab it by the handle and shake off any excess water. If the side walls flop over, use your thumb or finger to stretch them back to their original position. 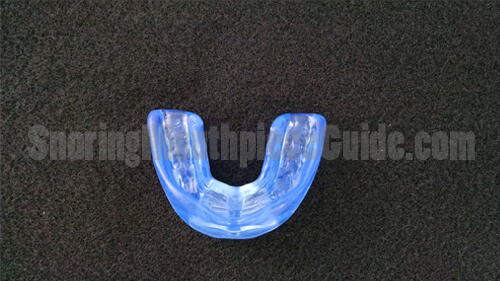 Place the appliance on the lower teeth while ensuring that the “curved” portion of the device is facing up. Close the lower jaw and bit down firmly while sucking out as much air as possible. Push your lower jaw outward so that your lower teeth are just slightly past your upper set of teeth. Hold this position for 30 seconds while biting down firmly. Use your index finger to push against the sides of your teeth. This will help to create a better fit. After 30 seconds, drop the entire unit into a bath of ice cold water. Allow it to rest here for a minute or two. Remove it from the ice bath and remove the air hole retainer. Check the fit and ensure that your lower jaw is in the forward position when your mouth is closed. If necessary, you can repeat the process until you achieve the perfect fit. After the fitting, it was time to put the SleepPro to the test. Before going to bed I placed the newly formed device into my mouth and the first thing that I noticed was how incredibly easy it was to breathe through the provided air holes. This is very important to me because I tend to breathe through my mouth as I sleep. My breathing was not at all restricted with the mouthpiece in. The holes were large enough to allow plenty of air in without making any annoying whistling sounds like some of the other units that I have tested tend to do. As for comfort, it fit snugly inside my mouth was easy on my gums. Initially, the advanced jaw position was sort of awkward but this feeling eventually went away. It wasn’t long before I was sound asleep with my wife by my side. She’s a night owl who often stays up much later that I do. In the morning I woke up an hour earlier than usual, feeling refreshed and ready to tackle the day. I rinsed the mouthpiece off and placed it into the provided storage case. Later that day I asked my wife about my snoring and she said that I didn’t make a single sound! So far, so good. Let’s see how it stands the test of time. 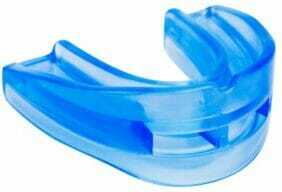 For the following two weeks, I put the mouth guard in every night before going to bed. The process quickly became routine. Each morning I continued to wake up early, feeling well rested and full of energy. Something else that I noticed was that I no longer woke up with a scratchy throat from heavy snoring. I actually slept in a separate bedroom and recorded myself for 3 nights as I slept. I was not at all surprised to hear the sound of silence as I played back the entire recording. Taking care of it was easy, just give it a quick rinse under hot tap water before storing in the case. As for the snoring, it has completely disappeared and has not returned! Unfortunately, my wife still snores on occasion. I’m still trying to convince her to use a mouthpiece for snoring. After looking over the reviews, it is fairly clear that most are satisfied with their purchase although several people feel a bit of discomfort during the first few days of use. Having mild discomfort is a drawback that almost all oral appliances share. After all, you are placing a device in your mouth that has never been there. Your body will need some time to adjust and 3-7 days seems to be the norm. Should I buy the SleepPro? When deciding whether or not you should buy a boil and bite appliance, it all comes down to effectiveness, comfort, and affordability. MEDiTAS has seemed to have struck a decent balance between these three factors. As for effectiveness, there are dozens of people (including myself) who have tried this product and have commented on its effectiveness. For most cases, it seems to do the trick. The concept is simple – by moving the jaw forward, relaxed muscles are tightened and move away from the airway. This has been proven in several clinical cases and the technique is widely practiced by doctors worldwide. While there will likely be a period of discomfort, this typically goes away. The device was designed in such a way to maximize comfort although it is still a foreign object in your mouth which remains noticeable when you wear it. 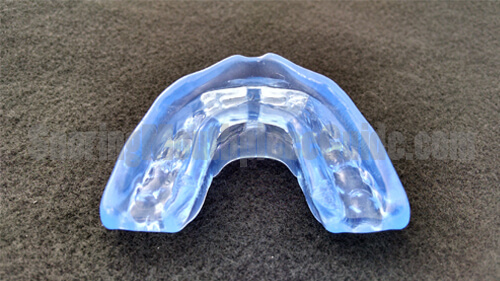 It is constructed of a soft rubber-like material that does not have sharp edges which can poke or cut your gums. When purchased 2 at a time, the overall price is reduced to $35 per unit which provides value when compared to alternatives that are out there. If you have been thinking about trying a MAD to correct your snoring, this is a great way to see if such a product will work for you prior to buying a more costly device. I really favor the large breathing holes because it is necessary for mouth breathers and several other manufacturers leave this feature out. With a decent design, good reviews, and a 30-day money back guaranty, it’s an inexpensive way to see if a jaw advancing device will work for you. 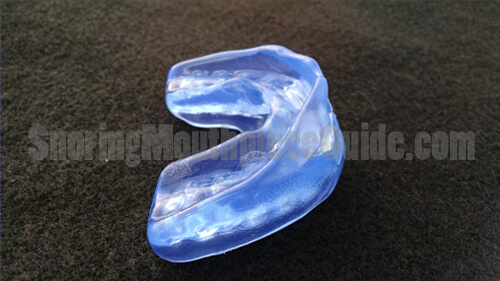 If you know that a jaw advancement device will work for you or if you want to start off with a better-engineered mouthpiece, consider using a product such as the Zquiet (go here for my full review) which is much more compact and does not require boiling to custom fit. The cost is just a few dollars more than the SleepPro but it offers a better design that is not so bulky in the mouth and even allows you to speak and sip water while installing. As far as effectiveness, I found the Zquiet to be just as effective as the SleepPro yet it’s more compact and can be used straight out of the packaging without the need to take an impression. 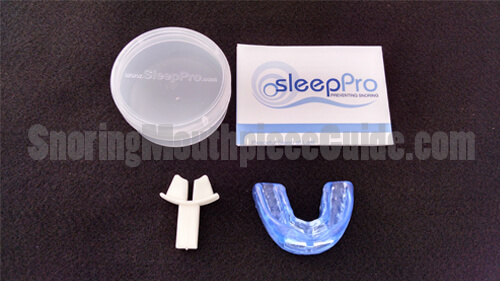 Previous post: Prosnore 2 stop snoring Review – Is it Really Worth the Money?